McMillan Fiberglass Stocks will be hosting a shooting event with The Guardian Long Range Competition on December 8 – 9. Join us at Big Sandy Range in Wikieup, Arizona for two days of fun that are for a good cause. The Guardian donates 100% of match proceeds to Bethany Christian Services, America’s largest nonprofit organization that cares for orphans and vulnerable children on five continents. McMillan is proud to work with the Guardian, which has raised $750,000 for orphans and foster kids since 2014. This will be the first Guardian event on the west coast. Our close relationship with the Guardian means that my daughter Britainy sits on their leadership team and will be the December Co-Match Director. The match is divided between two days. On Saturday, December 8, shooters will compete as individuals in the traditional Guardian format. In squads of up to 12 shooters, steel targets will be engaged up to about 1,600 yards. Information on the exact distances and format will be provided to shooters prior to the match. Before day two (Sunday, December 9), shooters will be given two-man team assignments. Teams are formed by pairing the highest scoring shooter from day one and the lowest scoring shooter, and so forth until everyone is paired. Guardian writes on their website: “This format will create parity, along with forcing shooters to quickly collaborate and a focus on effective communication and teamwork.” The course of fire on day two will be similar to that of day one, but with a two-man team structure. Competitors should bring at least 160 rifle rounds for both days. The top three shooters will earn trophies, as well as recognizing the best LE/MIL, .308, and female shooters. A raffle table will be open to the entire crowd, and the tickets are for great prizes from Guardian sponsors. Guardian also offered corporate squad sponsors for this match. This allows for the opportunity to sponsor up to three shooting slots in a squad and to have this squad named after them. Shooters will be able to choose the desired company sponsor they’d like to represent during registration. Guardian’s logo features Psalms 82:3 — “Defend the weak and the fatherless; uphold the cause of the poor and the oppressed” — these words ring true today and you are able to make a difference by supporting their cause. These competitions are exciting family events and McMillan will continue to support and sponsor them as they grow. 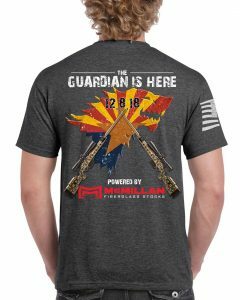 Your $250 registration fee for The Guardian Long Range Competition in Arizona is for an honorable cause and is tax-deductible. Included in the price is a Guardian tee shirt, refreshments, and lunch. Many McMillan stocks are suitable for this kind of tactical competitive event. The A-5 or Adjustable A-6 are great options that allow maximum versatility with different actions and mounting systems. The SENTRY is compatible with AR-15 buttstocks, pistol grips, and folding mechanisms. It features squared fore end for positive retention with tripod mounting systems and is light-weight for grab and go style events. Our latest innovations and classic stocks are available on our website, where you can also see the many customizable features. 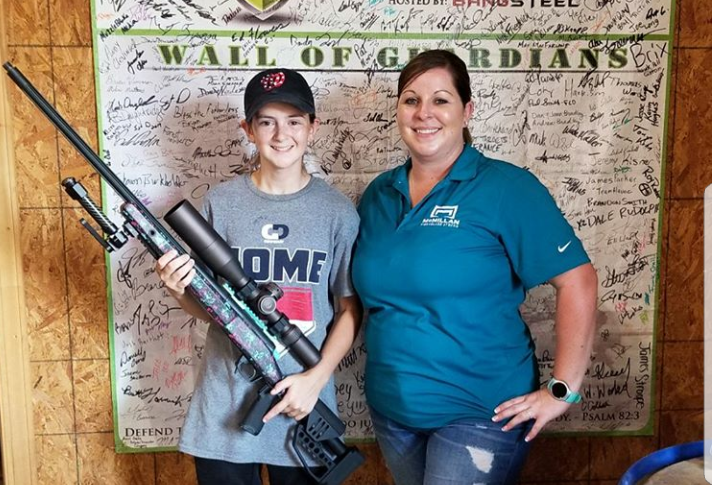 We at McMillan want to get people out to these competitions, so we often loan precision rifles for new shooters to use.